"You sent a an email to my husband, James Saarikko about our urn for Cheyenne. 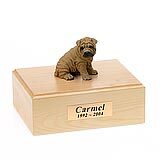 I wanted to let you know that the urn is wonderful. 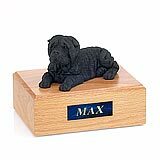 Thank you for the card. 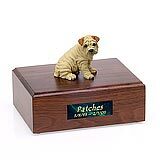 Not many companies take the time to personalize their sale. 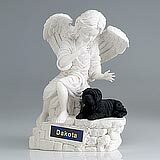 I will recommend you to others that I know. 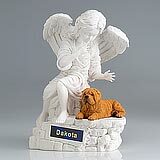 Thank you for making this hard time a bit easier. " 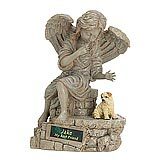 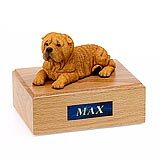 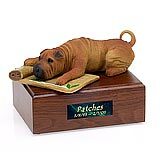 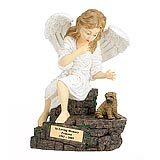 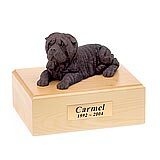 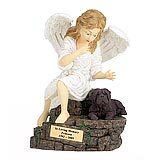 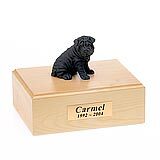 All available Shar Pei dog urns and memorials will be displayed with the figurine on the Shar Pei urn you select and in the appropriate size.